and Lloyd wrote a great piece discussing various city and planning implications, questions, and suggestions. 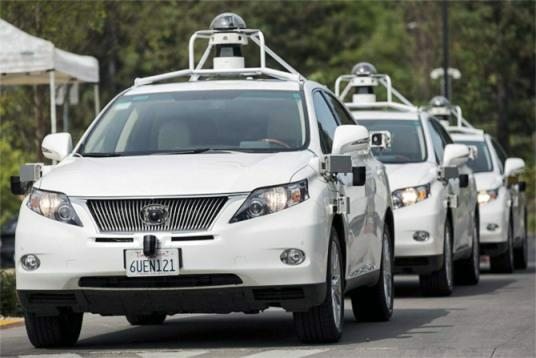 Here are a few more points about the self-driving cars themselves that we thought were pretty interesting. 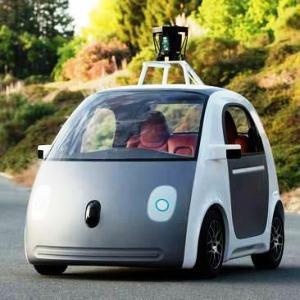 Google didn’t make a big point of this, but the self-driving cars will be 100% electric. That would certainly make them much greener than typical cars. Their small size would further help on the green front, but one commenter noted to me that the aerodynamics could be much better. Indeed. However, my understanding is that the shape of the vehicle is centered around the laser and radar sensors, maximizing their view. I didn’t initially catch that the cars would be electric, as it wasn’t mentioned in Google’s article. However, that explains why some passengers were so impressed by how “smooth” the ride was. That’s a classic feature of an electric car.